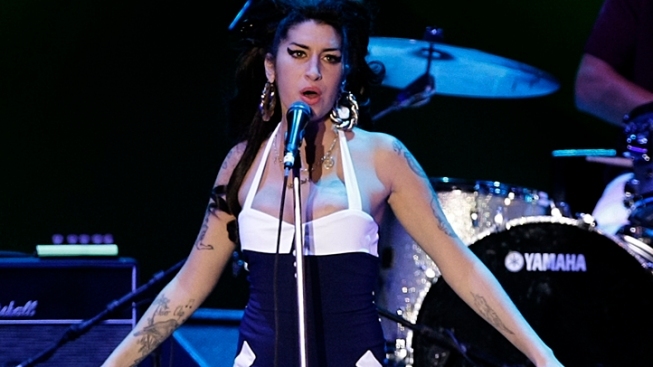 Amy Winehouse performs on stage in Sao Paulo, Brazil. British singer Amy Winehouse kicked off a European tour late Saturday with a performance that left the crowd less-than pleased. At an outdoor music event in Belgrade, Serbia, the singer appeared on stage an hour late and mumbled her way through a number of her hits. The some-20,000 concertgoers in attendance took the opportunity to boo and jeer the singer. Winehouse has struggled with substance addiction and abuse for some time. BBC News reports that hotel staff have been ordered to remove liquor from her room. Serbian media called the event as a "scandal" and a "disaster," reports the Associated Press.